If you’re a fan of futility, and really who isn’t, this weekend is the weekend you’ve been waiting for. 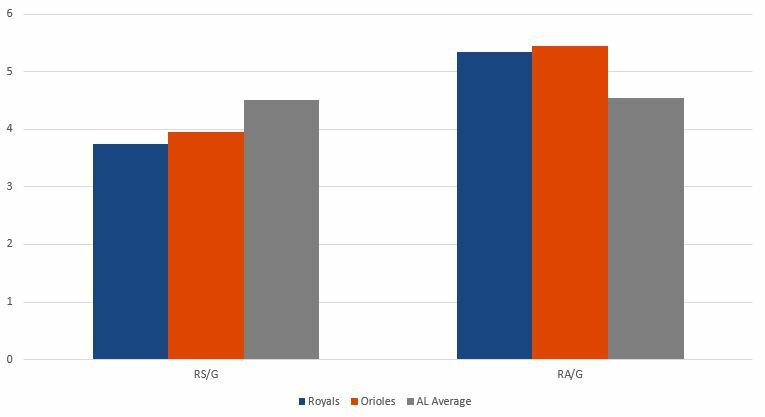 The Royals welcome in the only team worse than them in all of baseball, the Baltimore Orioles, for a three-game set that could help to determine who gets the number one pick in next June’s draft. Both teams are on fire (for them) with Baltimore coming off as sweep of the Blue Jays and the Royals in the midst of a 4-1 homestand. 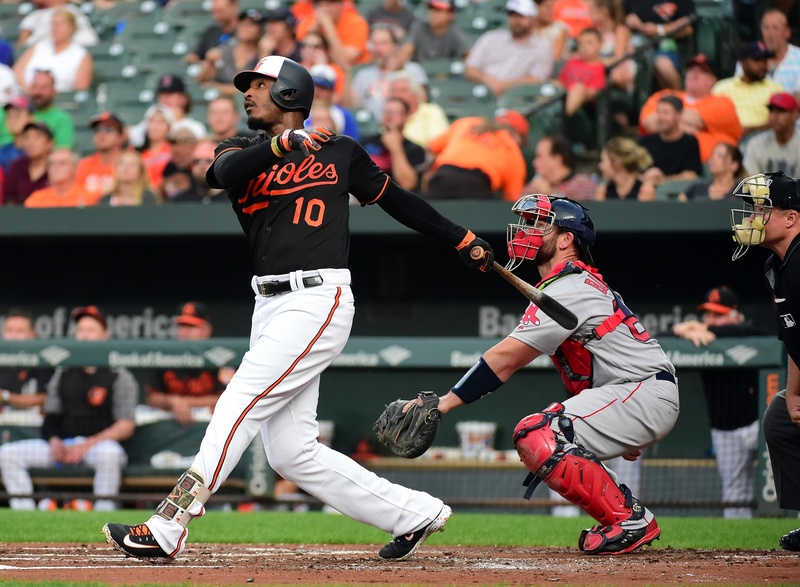 The Orioles are a different looking team than the squad the Royals played back in May after trading away Manny Machado, Jonathan Schoop, Kevin Gausman, Brad Brach and Darren O’Day and simply releasing a few others, including Danny Valencia. Since they traded Machado, they’re hitting .271/.327/.441 and averaging five runs per game, which is weird. But since the deadline, they’re back to .258/.312/.411 and averaging 4.4 runs per game, so, you know, back closer to normal. They still can’t pitch, so at least that’s the same. I saw what the Orioles were doing when they signed Cashner to a relatively modest deal this winter, but I didn’t like the move. He seemed prime for regression given his ridiculously low strikeout rate and his too high for it walk rate. He’s struck out more this year, but still not enough and he’s just been a little less fortunate on batted balls, so he’s allowed more hits, more runners and more runs. Plus, his home runs are up slightly, and when you have zero room for regression, you can’t regress anywhere. Still, on the whole, he’s probably been their best starter left standing, though Alex Cobb has been great of late. Cashner has been brutal in August with a 6.59 ERA in five starts. He’s struck out 12 and walked 12 in 28.2 innings. That’s…well not good. There’s not really a scenario where Cashner truly excels, but he’s especially bad a third time through the order, which he’s left in for quite often. He allows a .336/.424/.543 line when he’s facing the lineup a third time. Given his repertoire, I feel like Adalberto Mondesi staying hot is a safe bet here. Keller didn’t really have it in his last start against the Indians, but against that good team, he still gutted it out through five and allowed just two runs while striking out five. After a bit of a performance dip heading into the break, he’s made seven starts and averaged six innings per start since. What’s really encouraging, and we’ve talked about this before, is that he’s striking out 21 percent of batters faced and is walking just eight percent. Neither is elite or anything, but he does seem to be getting better. He’s given up a few more home runs, but he’s still at a reasonable level there as well, so he’s working his way out of an Andrew Cashner 2017-type season and into a conversation as being able to sustain this. Keller didn’t pitch against the Orioles in May, so this is his first time facing them. The last time the Royals saw Dylan Bundy, he faced seven batters and all seven scored. That was his third consecutive bad start after a quick start in his first five, and it hasn’t really gotten a whole lot better since. He did have a really good June, but since then he’s made nine starts with an ERA of 8.87 and allowed 16 home runs in 44.2 innings. He’s allowed 65 hits in that time! In those nine starts, he’s allowed at least five runs six times. It’s just been a rough go for Bundy. If there is a bright side for him, it’s that the season is almost over. Lefties have absolutely mauled him this year with a .316/.377/.550 line, so look for the Royals to load up in this one. The key against him (and all pitchers really but especially Bundy) is to get ahead in the count. When the hitter has the advantage, he allows a .336 average and .694 SLG. That’s crazy. And just to show how insane his start against the Royals was with four homers allowed in seven batters, here was the line – 1.000/1.000/3.400. That’s really amazing actually. Alex Gordon and Salvador Perez each have homers against him, but I’d look for some damage from the young guys like Mondesi, Ryan O’Hearn and Brett Phillips in this one. It seems like every time I’m about to write off Fillmyer, he performs well. He handled the Indians pretty well on Saturday night last weekend, giving up just a run on three hits in six innings. Maybe more encouraging than the numbers were 10 swings and misses, which ties his career high that he had set against the Tigers and White Sox previously. He threw a career-high 105 pitches, so two extra days of rest may not hurt him for this one. The Orioles could be a sneaky tough matchup for him because if his slider is hanging, they still have enough power to make him pay and get some quick runs against him. But if it’s working, I wouldn’t be surprised to see him set a new swinging strike career high. Hess has pretty steadily climbed the minor league ladder for the Orioles since he was drafted in 2014 and has shown a couple decent things in the big leagues in spite of the rough numbers. The home run has bitten him more than it did in AA last year or AAA this year, but he’s still allowing less than a hit per inning, which is nice to see from him. 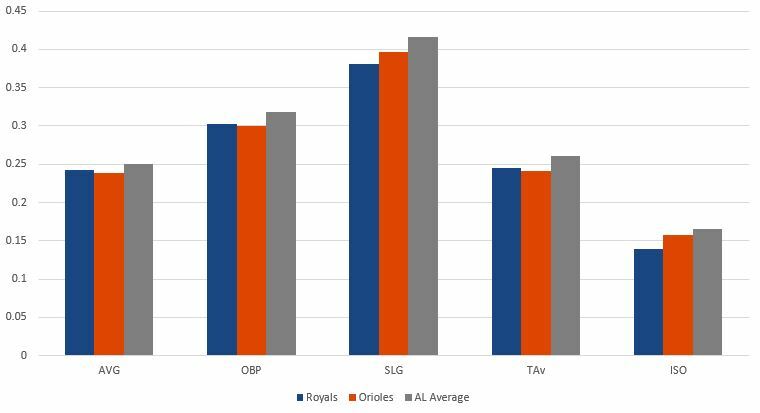 That said, there just isn’t enough there stuff-wise to be successful, especially in an organization like the Orioles. He throws a 92-93 MPH fastball, which isn’t really impressive these days and he throws it a lot. His slider is probably his best strikeout pitch, and it’s similar to Fillmyer in that when it’s good, he’s quite good, but when it’s not, look out. Like Cashner, he’s a guy you can wait out as he really starts to tire at about 50 pitches and then when you get even deeper, he gets in some big trouble. He hasn’t exceeded 100 pitches yet, but he did get to 99 in his best start of the year his last time out against the Blue Jays. So far, Lopez hasn’t done anything to make me believe he isn’t a reliever, but, again, this is the time to find out. His first time through the order in three starts, he’s allowed a .269 average and two runs. He’s walked just one in that time. His second and third time through, he’s allowed nine runs in three games and walked seven while striking out six. There’s no shame in being a reliever, but I’m pretty confident that’s what he is. That said, the Orioles do their share of flailing at the plate and Lopez has a great curveball when he’s on, so I would say this is an opportunity for him to gain some confidence if he can get that pitch working and recover from his rough outing against the Indians on Sunday. I’d have to care to look more, but I have to assume this is the first time the Royals have had back to back weekends with all three starters coming into the game with a season ERA under 5 since like April or so. Maybe I’m wrong. It doesn’t matter. 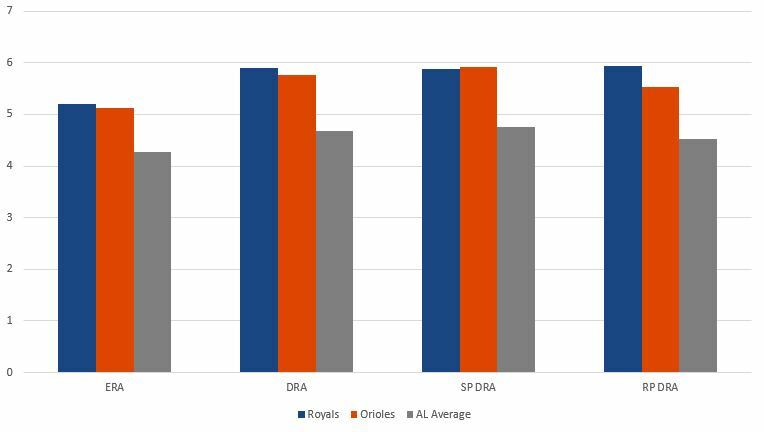 This is going to be a slap fight all weekend, but I think the Royals come out victorious in two of three given how bad the Orioles are and how bad they are especially on the road. Nothing would really surprise me this weekend other than good baseball.